While I’m a big fan of record stores, one of my favorite places to buy vinyl is an estate sale. 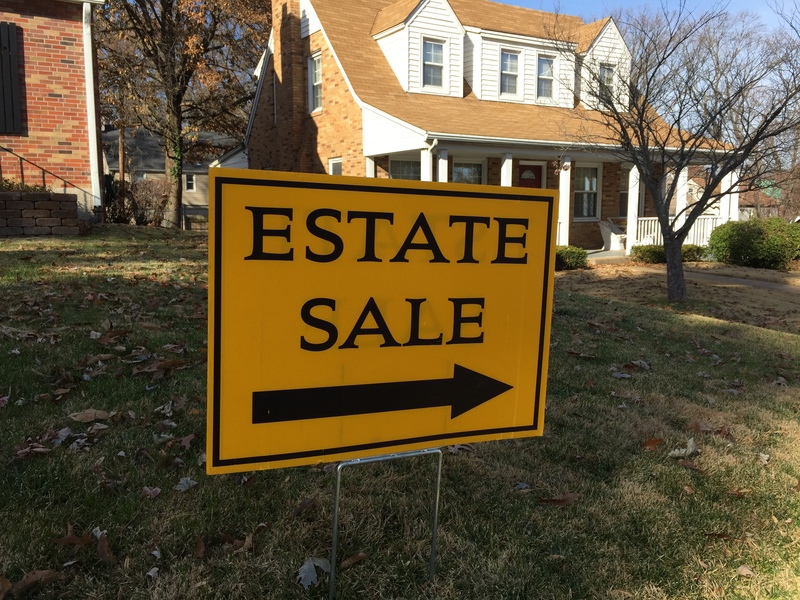 These whole-house garage sales are typically held after someone dies or moves. Depending on the size of your city, there may be dozens of sales each weekend and, by my completely unscientific estimation, 75% of them have have LPs (most often tucked in a cardboard box in the basement). Shopping estate sales is hit or miss, but I’ve found much of my record collection at these events. Last Saturday, I visited four sales and found records at two of them. The first offered only a small handful of Big Band music, but the second had about 100 diverse records in like-new condition (below). Jazz, pop, folk, country, Christmas—this small collection had it all. My boyfriend and I quickly thumbed through the offerings and pulled out 15 or so for further consideration. We walked away with 10 great records for $10, and big smiles about our good fortune. 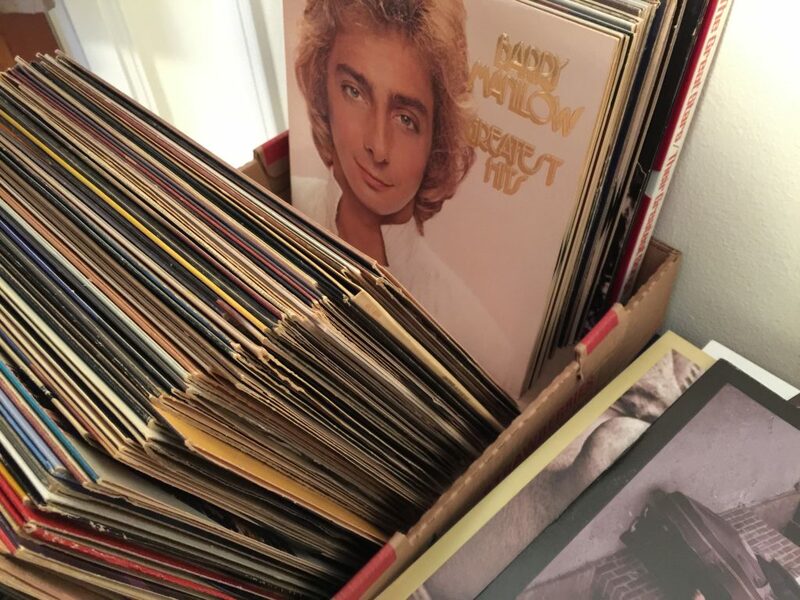 After successfully shopping estate sales for more than a year, I’ve come up with a few tips to help others hoping to grow their record collections this way. MAKE A PLAN: Avoid driving aimlessly for hours by mapping out your plan of attack before you leave the house. Using estatesales.net, I browse upcoming sales the day before I intend to shop (most sales are held on Saturday and Sunday mornings/afternoons, with some opening on Friday). I prefer sales hosted by a third party rather than those that are privately listed so I don’t feel a need to chat with the family and so I can be honest in my assessments of the stuff for sale without offending the owner. I use Google maps to come up with a route for my day. Although I give preference to sales that mention records, I don’t write off the others because I’ve found vinyl many times when it wasn’t listed in the ad. BRING CASH: Although some vendors accept checks (or, rarely, credit cards) cash is king at estate sales. Bring plenty of money because you never know what you may find. Of course, having too much cash in your pocket is an invitation to impulse buying, so set a budget for the day and stick to it. BE AN INSPECTOR: It sounds obvious, but don’t forget to thoroughly inspect every record before you buy it. I’ve made this mistake several times and have ended up with scratched vinyl, torn jackets, and mismatched records/covers. 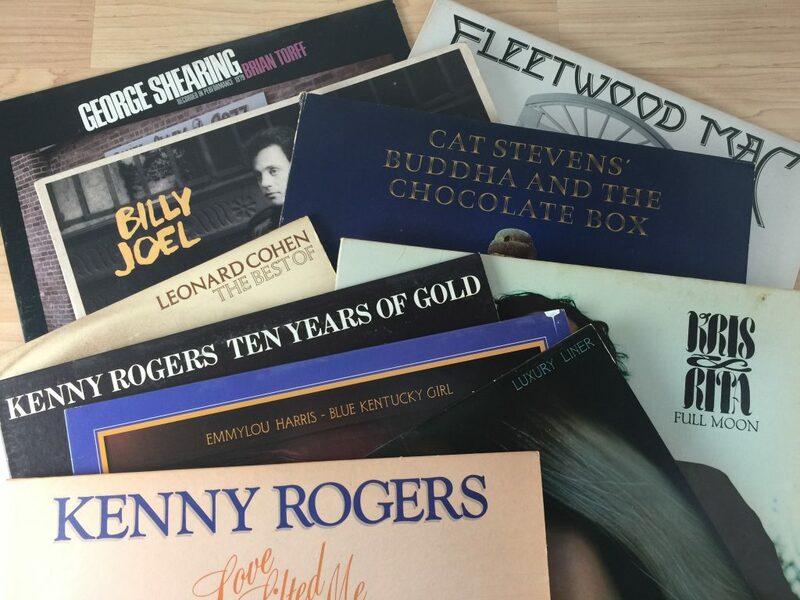 NAME YOUR PRICE: In general, expect records to be $1 apiece at an estate sale, although I’ve seen them for as little as $.25 and as much as $75 for highly collectible albums. It never hurts to offer less—at worst, they say ‘no’ and you pay full price. If you really want deals, however, buy in bulk or go on the last day when prices are more flexible. HAVE FUN: Shopping estate sales can fun or miserable, and it all depends on your attitude. Unlike a record shop, where there’s a singular focus and it’s fairly easy to find something specific, estate sales are crap shoots. You may hit pay dirt, or you may spend an entire day and come up empty handed. I love everything about estate sales, from peeking inside interesting homes and thinking how I’d decorate them, to searching through another man’s trash to find my treasure. In addition to records, I’ve found plenty of bargain-priced cooking gear (cast iron skillets and stainless-steel pots for $1-5 each, for example) and a gorgeous antique sideboard for just $160. Grab a friend and a coffee, and set off on an adventure! Speaking of adventures, look at the albums we picked up at the sale I mentioned earlier (below). The loot includes two each from Kenny Rogers and Emmylou Harris, Billy Joel’s Innocent Man, The Best of Leonard Cohn, Fleetwood Mac’s eponymous 1975 release, a Cat Stevens record with amazing artwork, a Kris Kristofferson duet album, and a jazz LP from new-to-me George Shearing. I’ve already listened Cohen while cooking, and can’t wait to find the perfect food pairings for the rest!